Bruce and I have been trying to extricate ourselves from the many duties and responsibilities we've assumed in the past two years or more and this weekend, we've begun to see the fruits of our efforts. Somehow I found myself off work at 3pm on Friday and we threw some things into the van and escaped to the boat! I will say that since we've had Elan for sale, we've been limited as to how much we are able to relax and spread out due to the fact that we never know when someone might come along and want to take a look. Every time we come for the night or weekend, we find that we've forgotten to bring some "vital" piece of stuff needed for casual weekend boat activities. We finally gave up and quit trying to cook on board so as not to have to clean the galley to "boat show" standards. It also cuts down on the amount of stuff we have to haul out here and gives us the opportunity to eat out, which is my real ulterior motive. We arrived here at about 4:30 and grabbed a beverage for an evening stroll. We were checking out friend's new slip over on the fixed docks and were hailed by those very friends. We hadn't expected any company this weekend but were pleasantly surprised when Bill and Jan showed up. The Saloon is not very old but when you enter, it looks like one of those old places that have been around for ages. No frills, just peanuts on the floor and darkness brightened by a multitude of neon signs. We found a tall table easily as only the bar seats were taken at this time of the evening. We ordered drinks and I found the novelty of husking a peanut and cavalierly tossing the shell onto the floor quite liberating. We all settled on burgers and fries and felt a little flutter when Larry Joe Taylor came in the door with a couple of cronies and sat at the table right next to us. I got the distinct impression that he wished to pretend to be incognito, so we obliged. It's gotta be hard to be him and have people hanging on all the time. He's just a guy after all... I think he was even wearing that same white shirt the last time I saw him... It was funny though how when I got the waiter to take our picture, LJT was hiding in the background. We finished up and joined Bill and Jan back on Merlin for a rum punch. The night was much cooler now so we hung out down below. Typically Bruce and I head for bed at this point in the evening, but one of my New Year's Resolutions is to be more fun... that means no more going to bed at 8 pm. Bruce was the one who threw in the towel first this time and we slunk off to the v-berth somewhere around 10 pm. My favorite thing about sleeping on the boat are the sounds you hear through the night. We had a change in the weather and I knew it by the way the boat sounded. Sometime in the night, things changed. New sounds and more rocking. The Norther' had arrived. This means we really need not spring out of the sack in the morning because it will be blowing hard and much cooler. I snuggled down and enjoyed the forced inactivity. We abandoned sleep at about 6 am but didn't leave the v-berth until about 9:30. I mused about whether I would ever be able to shake the compulsion to be doing something all the time and just go with whiling away the time following the leads on the Internet or reading a good book... I gave it a good try this morning. We finished our coffee with Bailey's and drove over the Beaches for breakfast. We had the biscuits and gravy, the best anywhere and tried the bread pudding with more coffee. We were greeted by the owner, Bob and had a long conversation with him. He's quite nice and is studying the art of BBQ which is evident if you ever get a chance to try his pulled pork. He said he's toying with the idea of doing whole hogs but hasn't launched it yet. I'm OK with it as long as I don't have to see the thing. We talked to him about working up a proposal for possibly catering a future BYC Cruise to Port A. Back at the boat, the cool winds were blustery and wild. I had a walk on the beach in mind but a nap seemed a more likely pastime at this point. Hey, it's the weekend and I'm trying to relax and go with it. I stretched out in the v-berth under the warm sun from the hatch above my head and dozed away an hour or so. Once again the compulsion to be doing something seized us so we packed up our stuff and drove to the jetties for that beach walk. I made some sandwiches... heavy emphasis on on the "sand"... which we ate in the van while watching people feed flocks of gulls. Aren't tourists cute? The winds were really blowing the sand which was all over us already and we weren't even out of the van yet... We gave up on our walk and headed for home. The New Year is off and running with the first Cruise of 2012! This year's Frostbite cruise was practically balmy as compared to last year's freeze. Walt and Judy took us up on our offer of help in getting Endless Summer over to Port A. With the help of Stace, the five of us set "sail" at around 11am on Saturday headed that way. We had very light winds... OK no winds... and a bit of fog as we set a course for marker 43. Don't bother putting up sails as they would be useless. Ann and David closed in on us on Sanctuary with a boatfull of guests. We tried to outrun them but not very hard and they easily overtook us before we reached the channel. There was a little more excitement once we reached the Corpus Christi Ship Channel. We had some tanker traffic and the dolphin there were taking full advantage. As always... I love these displays of "Dolphin Joie de Vivre"
We did get a bit more wind with a cool front blowing in as we neared the Port Aransas Ferry lanes but as we were near our destination, we didn't bother putting up sails. There's still the return trip tomorrow... We radioed Merlin for our slip assignment and found a BYC welcoming committee ready to help us dock. Walt did a marvelous job backing the boat right into the slip. Not too bad for a guy with a recently broken hip! WE'RE HERE! Well... our boat is already here so what's the big deal? The big deal is the turnout for this cruise! I think we had more than 15 boats show up for this not counting the four boats that stay here. After the year we've had... this is great! Every event we planned last year was battered by bad weather. This weekend with it's little bit of fog and cool wind was a treat! SeaFlight was the first of the "Host Boats" that we visited. We had planned to help out but when Walt asked us for help sailing the boat over, we slinked out of it. No worries... Brenda had a marvelous pot of seafood chowder simmering on the stove that warmed everyone inside and out! We joined the throngs of happy sailors in SeaFlight's cockpit and had a taste. When all of the Chowder was gone, fickle crowd that we are... we all migrated over to our second Host Boat, Merlin. Jan and Bill had a sumptuous spread laid out and we dove right in. Their boat was all warm and toasty and the chatter was near deafening! Bill was serving up some ridiculously delicious rum punches.... May I have some moa? I shared the corner with Jo and a giant bowl of guac that was to-die-for. Jo and Ron are planning their 5th Mardi Gras party at the Club coming up soon. They weren't at the Officer's Installation Banquet held earlier this month when their names were announced as having (finally) won the prestigious "Cook of the Year" award for 2011. Jo and Ron have put on the Mardi Gras party year after year and are only now reaping the rewards of fame and fortune beyond measure. Kudos to you both! We had over 50 people show up for this dinner. Some drove over to meet the boaters and we filled this little place up! The staff at Fins had their hands full as they brought us all drinks and then began bringing out plates of food, family style. Bruce and I brought up the rear with Bill and Jan and had to have more tables brought in from the porch. We got there just in time to get the tail end of the food. We weren't really very hungry after grazing all afternoon... but for $17 a plate, you have certain expectations.... Bill, just consider it as a donation to local charity and ask for your tax receipt on your way out! The waiters and manager are pretty good to allow us to take over their place each year for this cruise. We got pretty noisy and a little rowdy and I'm sure their regular patrons were not too amused by our shenanigans. There was one couple there who inquired about membership, so hopefully we picked up another new member in spite of it all. We walked back to the marina where Bruce and I peeled off the parade to sneak back to our boat without notice. I was ready to be in my jammies and Bruce put up little objection. The next morning, we had coffee and set out for a walk to the San Juan for breakfast. We figured the rest of our bunch would have partied long into the night and it was NO WAY any of them were awake. We did see several couples out and about when we returned from breakfast. We did a few boat chores and even had a chance to show our boat to a prospective buyer... then put away our stuff and headed back over to Endless Summer with our gear.We were just in time to see one of our women working out her strategy to get their boat out of the slip with a bit of wind causing havoc. We all watched as Sylvia wrestled this beast out of this small space while her husband, Jim gave quiet advice but didn't jump to the wheel and take over. Sylvia got it out beautifully and we all cheered! We are seeing more and more of this as our men patiently teach their wives to handle the helm. One by one, our little party dissipated as the boats set sail for home. Our turn came and we had some help getting off the dock and were soon under way again. This time we had PLENTY of wind. It was blowing in the 20s and gusty but the flat water of the ship channel made for a comfortable ride once we got the sails situated. The sail back to Corpus Christi was punctuated by the obligatory dolphin show... As this military vessel slid by us we were treated once again to this glimpse into the lives of these marvelous creatures. The winds moderated before we got out into the Bay, giving us a chance to have a picnic. Is that all we do? EAT? We had nice flat(ish) water and some holes in the breeze before it settled down to a nice 15 plus kts the rest of the way. We said goodbye to Starfish as we left them behind. See Ya at the dock, Chip! We drowsed our way across the Bay in the weak sunshine and then once docked, scrambled to get all our gear off the boat. We had to get back to reality and prepare for the work week. More and more I'm thinking "This is my REALITY". I'm counting the days until I don't have to go home! For those of you who have better things to do than read on and on about why you should buy this boat instead of all the others on the market out there, let me put it sweetly and simply for you... This boat is a solid proven performer that has been used well and often by a knowledgeable owner. It is a good value for the money. If you are looking for a racer/cruiser that provides a comfortable ride, is a joy to sail, is a proven Club Racer, and can make your woman happy, this is the boat for you. For all of the rest of you who don't mind combing through a long list of useful information with a bit of sales pitch thrown in... here we go! 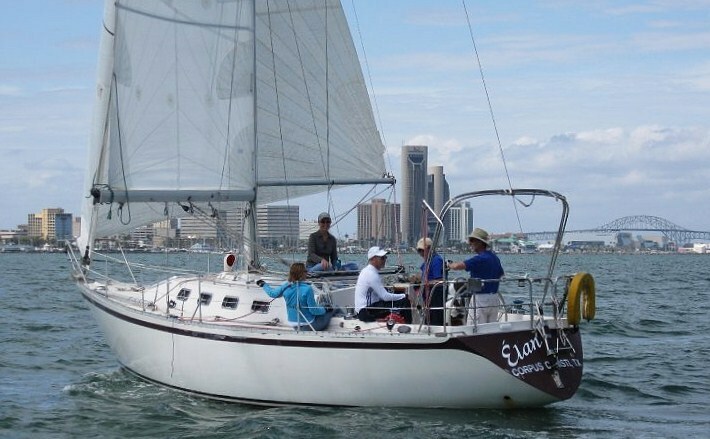 CS (Canadian Sailcraft) is a boat that, being from the South Texas area, we had never heard of. 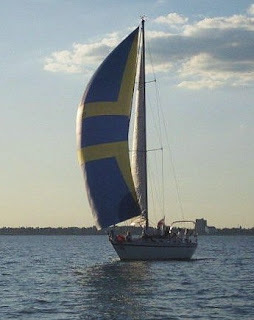 There are relatively few in the Gulf Coast area and when looking for a sailboat, or anything else for that matter, one thinks... if I've never heard of it, it must be crap. Not so! The CS is a well respected vessel built in Canada by CS Yachts founded in 1971 by Paul Tennyson. The Company was one of the casualties of the economy and ceased production in 1992 after putting out several designs. Raymond Wall, the former chief designer for Camper Nicholson, was their chief designer from 1977 to 1983 during which he designed the CS36 you find for sale here. Follow these links to read more reviews from trusted online sources. We owned our first CS, the 33 ft version, for several years. 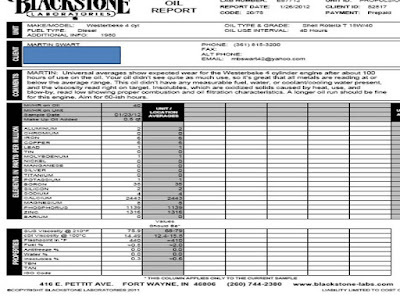 We purchased her on the advice of a trusted broker and friend with no personal knowledge of the CS make. 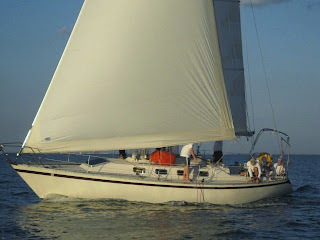 We sailed her happily around the Corpus Christi Bay area, camping out in the nearby anchorages and spending weeklong vacations aboard in happy seclusion. While on charter vacation in the BVI's in 2004, we were killing time before catching our flight out by looking at boats for sale at Nanny Cay. We found a CS 36 there. I took one look at it and passed... it had been chartered hard and looked it. But Bruce poured over it inside and out. He loved it and upon our return home, he immediately got online and found our boat on Lake Michigan for sale. His decision to make the purchase was based upon the comparison of this boat to the one in Nanny Cay, hands down a better value... and on the fact that this boat came from a fresh water lake in northern climes, where the sun's rays are kinder and the sailing season is much shorter. Boats are typically in better condition when they have spent their lives in the north. This boat was sailed for 3 to 4 months a year and was stored on the hard for the remaining months. She was stored under a heavy canvas cover which we still have and will convey with the sale. When Elan was recommissioned here after being trucked from Michigan, Bruce made her ready and I stepped aboard for my first voyage. The difference in motion between this boat and the 33 ft was astounding. Everything I didn't like about the smaller boat, I loved about this one. It was the perfect size for my needs... a cozy cabin with spaces to stick my "girl stuff" for weekend jaunts, long weekends and week long vacations to secluded anchorages where the crowds couldn't find us. I had been apprehensive about taking our 33 ft boat offshore (having little previous offshore experience myself) but with the more stable feel of the 36, I was all for it. Bruce and I have taken several week long trips to South Padre where we spent idealic days playing in the sun while carrying our "condo" with us. Bruce loves her for the fact that while she has a fully decked out interior, she still performs well on the water and brought him enough trophies for him to maintain a proper level of respect amongst the other racers on CC Bay. This boat is the perfect combination of "his" and "hers". Why are we selling her? Bruce and I are planning to live aboard for a while then cut the docklines and go cruising. We have 2 grown daughters with "significant others" and I feel that in order to be happy as a Liveaboard, I need an additional cabin and space for more of my "things" than can be accommodated on a 36 ft boat. We have our eye on a 45 ft boat and would be interested in discussing a trade if the right boat were offered. We are getting out of the "racing scene" and will be settling into "cruiser mode" with a larger boat. Since we took ownership in 2004, we have meticulously performed the recommended routine maintenance and have added many upgrades. The accommodations on this vessel begin with a great cockpit that has good back support, fitted seat cushions, teak table and space to dine, relax or entertain. At the base of the companionway on port is the U shaped galley with lots of counter space and storage. To starboard is the quarter berth and the navigation station. The all-teak interior walls and cabinetry were refinished with 5 coats of hand rubbed Epifanes Rubbed Effect varnish in 2009. The teak and holly cabin sole was refinished with Epifanes High Gloss varnish in early 2011 . Forward of the Galley to Port there is a straight settee which converts to a single berth. There is a two sided drop-leaf teak table near centerline in the main salon which accommodates 4 to 6 people easily for dining. The L-shaped settee on starboard converts to a double bed. There are storage compartments and shelves along the hull on both sides in the salon. The head/shower is forward of the salon on starboard with teak grate floor and ample storage cabinets and cubbies. Across from the head/shower are two cedar-lined hanging lockers and storage. A cozy V-berth cabin is forward with cubby storage hull side and a mirrored vanity with drawers. The original v-berth cushions were replaced in July 2009 with a custom pillow-top mattress from Cantwell's Mattress Company. There is outstanding ventilation throughout provided by the 8 opening ports with screens and 2 hatches with screens and companionway screens, augmented by 3 fans for when you aren't using the AC. The hull is made of solid fiberglass (not cored), reinforced with stringers and the bottom has been barrier coated. She has a solid lead,deep fin keel through-bolted with oversized 3/16 stainless steel bolts. Each of the 12 bolts is capable of carrying the keel by itself. She has a partial skeg mounted cored foam rudder. CS 36 is considered to be an offshore bluewater capable boat according to reviews. She has beautiful classic lines and is size/weight appropriate for a comfortable ride offshore. She has performed well as a Club racer bringing home top finishes without stripping her interior. Her PHRF rating is 123. Maintenance records, upgrade receipts, manuals and schematics are aboard. She holds current US Documentation and Texas Registratioin. 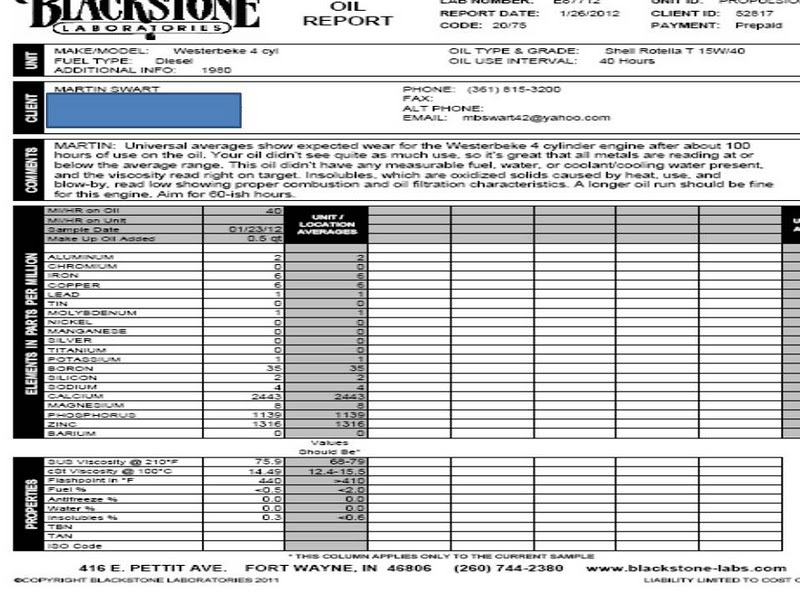 AC raw water pump replaced new December 2009 under warranty through West Marine through December 2012. Original Sails - 150 light roller furling jib, 140 heavy roller furling jib, mainsail in useable condition. All standing rigging replaced with 316 stainless 1x19 wire June 2008. Port/Starboard uppers and forward lowers upgraded from 1/4 to 5/16 stainless steel 1x19 wire June 2008. Personal items aboard do not convey with the sale. Starboard side v-berth without mattress. There is a storage bin which fits inside the near compartment for additional storage. Looking aft into the wet locker and engine access panel. This is also accessed from above. Shiny clean stainless steel stove and oven. Inside the Starboard wet locker looking down into the lazarette from above and from the stern.